Blue Rider Press, 9780399574528, 400pp. We’ve heard it said that there is no justice in this world. But what if there really was? What if the souls of murdered children were able to briefly return, inhabit adult bodies and wreak revenge on the monstrous killers who stole their lives? Such is the unthinkable mystery confronting ex-NYPD detective Willow Wylde, fresh out of rehab and finally able to find a job running a Cold Case squad in suburban Detroit. When the two rookie cops assigned to him take an obsessive interest in a decades-old disappearance of a brother and sister, Willow begins to suspect something out of the ordinary is afoot. And when he uncovers a series of church basement AA-type meetings made up of the slain innocents, a new way of looking at life, death, murder—and missed opportunities—is revealed to him. 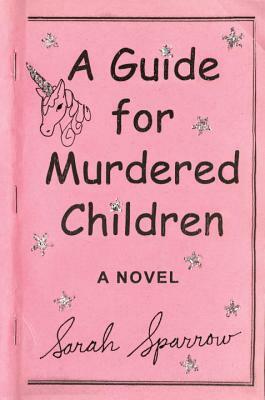 Mystical, harrowing and powerfully moving, A Guide for Murdered Children is a genre-busting, mind-bending twist on the fine line between the ordinary… and the unfathomable. Sarah Sparrow lives in Los Angeles.